Description The OLIGHT PL-1 II is the refined and upgraded version of the original PL-1 weapon light. Features The dual spring system and insulated interior protect the light from any recoil or temperature change that the light encounters. We have included a rail insert and tool to change for the 1913 and Glock style rails so it can fit any type of railed firearm. Additional Information The UI is extremely natural and simple so that the user can think of what they need to when using it rather than worrying about their light. 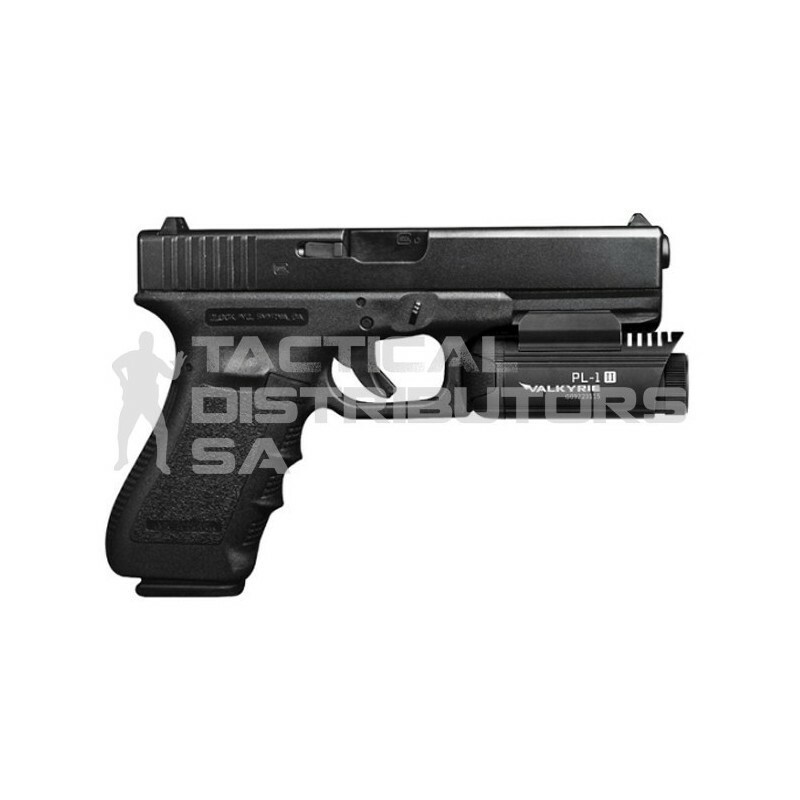 Further Information Fits MIL-STD-1913 and Glock sized rails. Uses a single CR123A battery delivering 450 lumens and a beam distance of 106 meters. Switch on/off silently. Push forward directly or hit the side of the switch to activate. Further Information 2 Heavy duty stainless steel lever making it easy and fast to attach and release. Hardened glass coated with an anti-reflective coating on both sides allowing for 99% light transmission rate for maximum clarity. IPX6 Waterproof. Package Inclies Flashlight x 1, 1600mAh CR123A Battery, 1913 Rail Mount (for 1913 Rail) x 1, T6/T8 Socket Head Wrench x 1, Instruction Manual.